Get ready to experience Denver's largest Hookah Bar! Underground Hookah is Denvers Largest Hookah Bar. Located one block South of the Gothic Theater Underground Hookah is the place to be if you want a good night on the town. 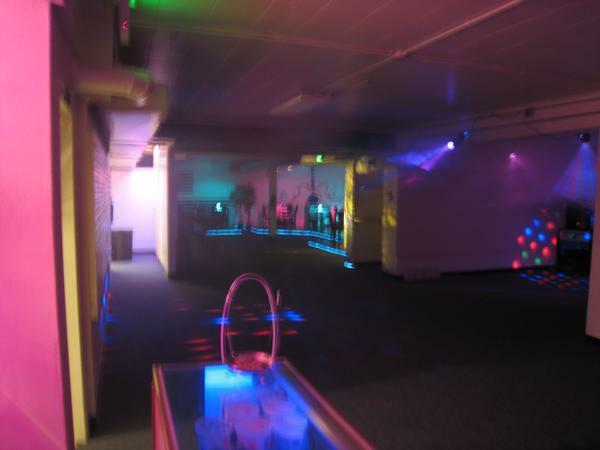 Underground Hookah offers customers to relax with the invigorating smoke of the hookah with over 3,000 sq. ft. of lounge space. You can also dance the night away with are 1,000 sq ft. dance floor. Underground Hookah features live bands and DJ's every weekend. Dont forget to check out Underground Hookahs theme nights and Wednesday Ladies Night. Never tried a hookah before? Don't worry because Underground Hookah will take you through a Hookah 101 lesson with are educated staff. You don't have to be a regular smoker to enjoy the smooth, misty smoke of a hookah. Underground Hookah not only wants to offer the best enviroment for its customers but also the best smoke. You can enjoy of Flavors at UGH including orange, grape, cherry, strawberry, double apple, berry, mixed fruit, lemon, vanilla, sweet melon, watermelon, mango, banana, and mint. All of are tobacco is premium Al-Fakhar shisha. Don't forget to check out the mix menu to find a new blend of shisha. One hookah at Underground Hookah is $13.00 and has a 3 person maximum per hookah. We also offer an array of exotic non-alcoholic drinks ranging in price. Underground Hookah is offering the first of its kind in Denver. Hookah Catering may be arranged with one of the UGH Staff. Depending on the size of the event UGH will cater your next party or get together with hookahs. For more information you may contact Tyler at Underground Hookah. UGH also offers private parties at the lounge itself. Make sure to arrive early to experience the best of what Underground Hookah has to offer. Member Reviews-- Write your review today!